The class of 2019 will celebrate the countdown to graduation at the 100 Days to Commencement Senior Celebration, Feb. 8, in the Student Union Multipurpose Room on the New Paltz campus. All students who will graduate in May are invited to attend. Alumni Council representatives and other alumni will be at the Ask an Alum table to answer questions and to offer insight and advice about life after graduation. Sponsored by the Office of Development and Alumni Relations and the SUNY New Paltz Foundation, the event will also provide information on the spring Undergraduate Commencement ceremonies, Career Services, Senior Toast, and Alumni Relations programs and services. The event also officially launches the College’s Senior Gift program. Each year the senior class has raised more and more for the senior gift and their excitement to be part of the culture of philanthropy is growing and inspiring. The gift they leave will allow the College to continue to provide student and alumni programming through the Fund for New Paltz. 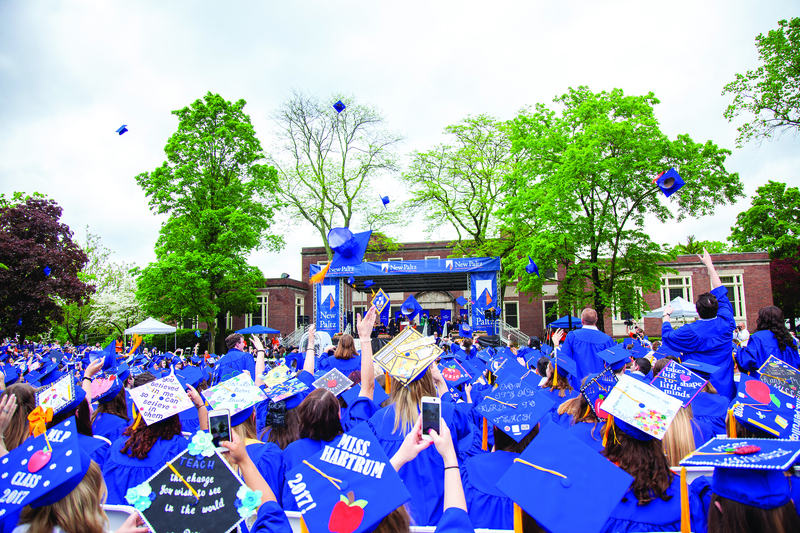 Seniors can choose to make a gift of at least $20.19 and to acknowledge their gift, these future alumni will receive orange and blue philanthropy cords to wear proudly at 2019 Commencement. For more information about the 100 Days Senior Celebration, contact the Office of Alumni Relations at 845-257-3230 or alumni@newpaltz.edu.